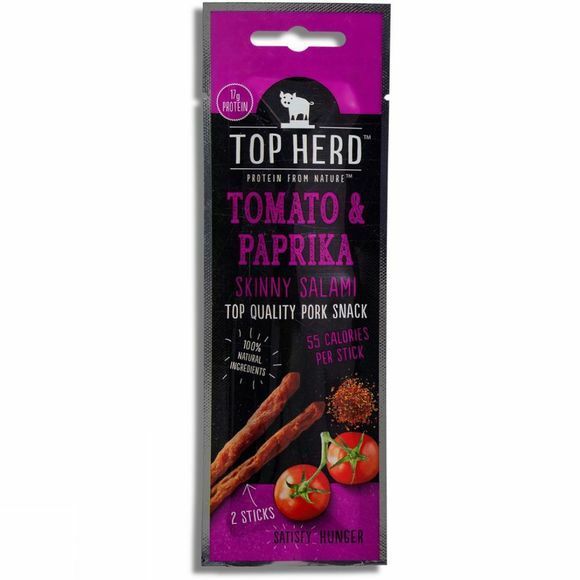 Top Herd's mighty tasting Tomato & Paprika Skinny Salami isn't just any 'ole meat snack; it's a magical, protein packed wand of smashing goodness. The lean salami contains less than 6% fat, are high protein, gluten free and are made with out any artificial nitrates or nitrites. Marinaded in a concoction of delicious 100% natural spices and herbs, then air-dried naturally for 6 days, these salami's are the perfect, tasty snack.